I’ve always been one for the back stories surrounding sports and sporting events. You know, those facts about a particular athlete you would have never realized, or maybe the circumstances involved in what brought someone to this point in their athletic career. I’m equally fascinated with the history of the facilities, and learning of the transformations it took to get things the way we see them now. Hayward Field is a great example. These sorts of stories and facts are often as interesting and meaningful as the events themselves. Case in point… there’s a real connection to Powell Plaza for me. I grew up just outside the Seattle area, and besides attending school in California, spent most of my life in the Pacific Northwest. 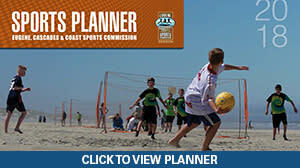 During the mid to late 90’s I was working and coaching in the Seattle area and probably logged thousands of miles, and as many hours, coaching club volleyball to high school age student athletes. 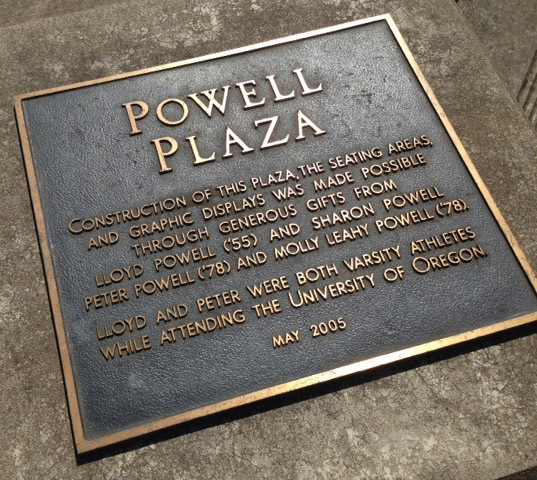 One of the most memorable and enjoyable athletes that I had the pleasure of coaching was the daughter of Peter and Molly Powell, two of the individuals mentioned at Hayward Field’s Powell Plaza. As any long time coach will tell you, there are countless players who go through your system (team) during your career. All make some sort of impression on you and that you remember to some level. There are others you remember because of all sorts of reasons. The Powell girl was one of those kids I remember for all the right reasons. Not only was she a great athlete (obviously it runs in the family), but she was also a fantastic person to just be around… always upbeat and always positive. I also had the pleasure of getting to know the other members of the Powell family during this time. They were a young, active and fun family, with parents who always supported their children’s’ athletic endeavors, which is a trait I admire very much. This was the type of team family that always sponsored the end of the season team barbeque and never missed a tournament. As most players do… they come and go through your coaching career and then others take their place. People move on and so did I, eventually relocating to Eugene. It wasn’t until shortly following the completion of Powell Plaza that I even had a real reason to think much about the family. Fortunately for me, I had the opportunity to visit during a campus tour that helped me clue in to the fact this was the same family I knew back in Seattle. I recall a couple of conversations with the parents about their college days in Eugene. It was where they met and where eventually one of their three children would attend. Needless to say, this back story about a unique campus sporting venue that is now one of the best-known historic track and field stadiums in the United States provides me a true connection, and a special place.